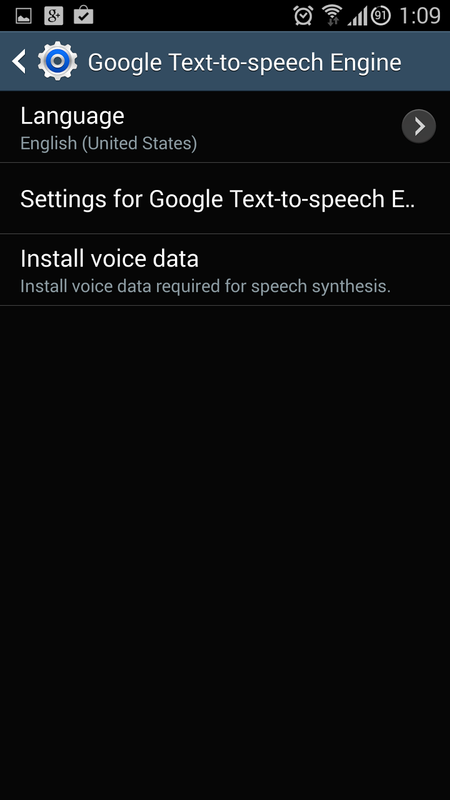 Last week Google released an update to their Text-to-Speech system, it advertised high quality voice. Most people assumed once they had this update, they'd now have a higher voice quality the next time they attempted to use this feature while doing a Google search via voice command. Sadly this isn't the case, and it requires a little setting up. We're going to show you how to get this setup step-by-step, straight up and simple. To enabled Google's high quality voice, follow along with me. 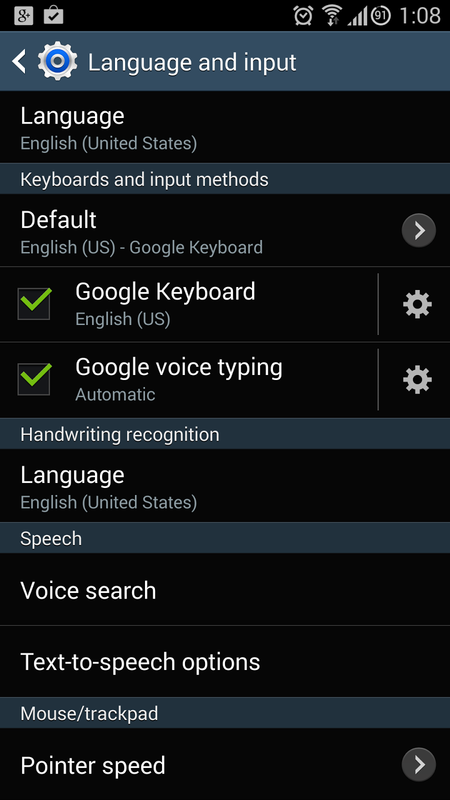 You'll want to go into your Settings > Language and Input. 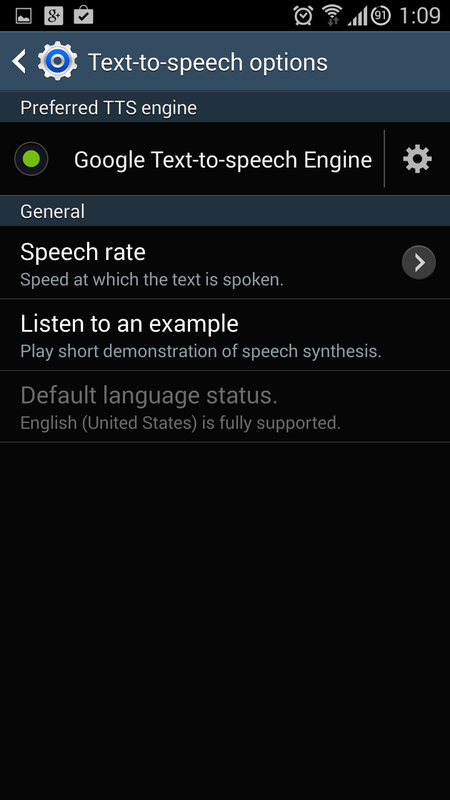 once you're there, you'll want to click on "Text-to-speech options"
Once in the next screen, you'll top the gear icon to the right side of "Google Text-to-speech Engine". Tap on "Install voice data". Select your language of choice. Most people use English (United States) even if you're in Canada or other english speaking countries, but if you want to get a little extra flavor, selecting English (United Kingdom) will yield a more english accent in the voice. 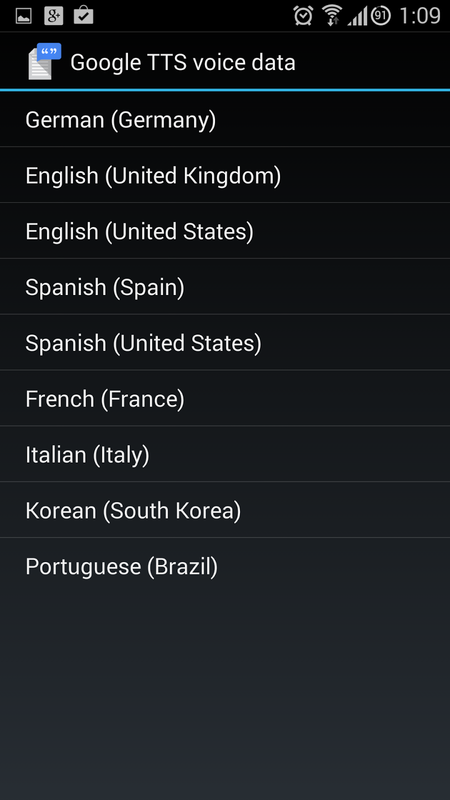 Once you've selected your language of choice, you'll see the (high quality) option below the standard voice pack. Please Make Sure you're WiFi is on! These are large language packs, and if you have a small data plan, this will take up a large portion of that if you're not on WiFi. Once the download has started, you're free to press the home buttons and go about your business. Once the download is finished, your high quality will automatically be selected and ready to go the next time you do a voice search, or have your phone read something out to you.